PRESSURE WASHING DRIVEWAYS is one of the many services provided by Clean and Green Solutions. There are several aspects we would want our customers to understand when it comes to cleaning driveways. The equipment we use makes a major difference in visual results. 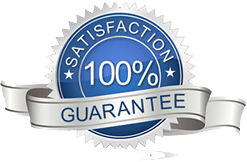 We want to provide the benefits of pressure washing driveways, and invite you to receive a free estimate. PRESSURE WASHING DRIVEWAYS is something many homeowners attempt with a pressure washing machine wand. This is something we do not recommend because of the “tiger stripes” that result from an uneven stroke. We always use professional grade equipment including our concrete scrubbers. Similar to the approach of mowing the lawn, concrete scrubbers allow even cleaning strokes. This leaves stunning visual results and takes less time. The best way to understand this approach is by checking out this video. 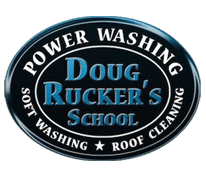 There are several benefits to mention that result from PRESSURE WASHING DRIVEWAYS. First, the entire family will enjoy the stunning visual difference every time they arrive and leave. Secondly, neighbors will enjoy the fresh look when they drive or walk by. Third, friends and guests that visit your home will take notice and appreciate the warmer welcome. Delivery drivers and even just people passing by will be prone to appreciate your efforts to keep the driveway clean. We encourage you to call or text 281-883-8470 to receive a free estimate for PRESSURE WASHING DRIVEWAYS. 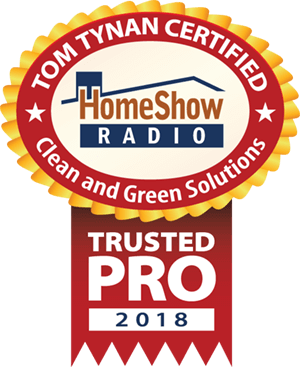 Clean and Green Solutions is proud to be certified through the UAMCC and Tom Tynan’s HomeShow Radio network of pros. For an explanation of many other services that we provide, check out this article on Linked In!